This kit is ideal for anyone wishing to make a difference to the environment and help keep our beautiful beaches clean. 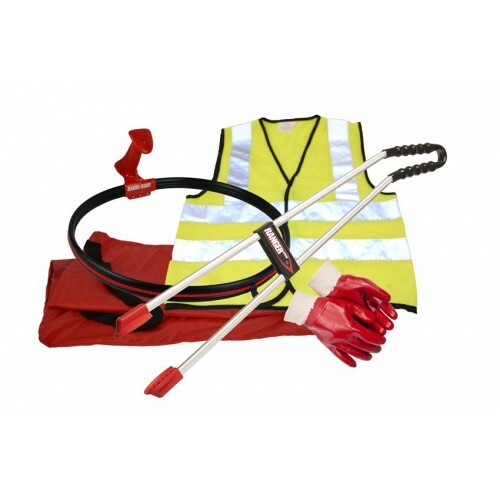 Incorporating all the basics you need to pick up litter from beaches including the Ranger Max which is ideal for heavy duty collection due to the fact that it is rugged and durable and has extra wide jaw opening. Recycled Bench - Sloper - Black Bench made from fully recycled materials making it low maintena.. Recycled Bin - Dome Top - Brown Bin made from fully recycled materials making it low maintenanc..
Litter Picking - Tidy Up Kit Litterpicker Pro Adult Including - 1 x Litterpicker pro 33"-..
Litter Picking - Tidy Up Kit Streetmaster Pro Adult Including - 1 x Streetmaster pro..
Litter Picking - Tidy Rivers Kit Including - 1 x Litterpicker pro 50"- 1 x Large adu..
Litter Picking - Kids Kit Including - 1 x Graptor- 1 x Kids Hi Vis- 1 x Pair kids ri..
Litter Picking - Kids Litterpicker Graptor 27"
Litter Picking - Kids Litterpicker Graptor 27" 27" graptor ideal for little hands. Great ..
Litter Picking - Litterpicker Pro 33" or 37" litter picker ideal for adults wanting..
Litter Picking - Handihoop Perfect accessory for litter picking. Lead time - 2 - 3 ..